“It’s not what you know, but who you know that matters.” Whether you like it or not, it’s hard not to recognize that there is amazing power in the relationships we have with others. Yet most people fail to harness this power to fuel their own success—until now. 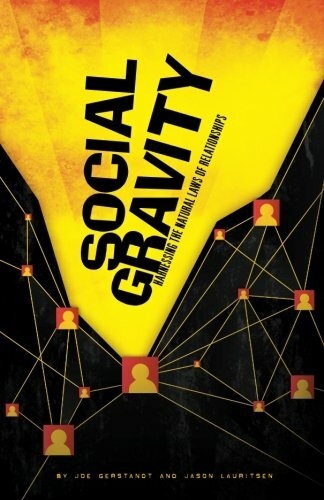 By picking up this book, you are about to discover the awesome power of Social Gravity. Social Gravity is the invisible combination of forces at work in our relationships with others. Within the pages of this book, you will learn how to harness Social Gravity to attract success in all areas of your life. Discover the Six Laws of Social Gravity to gain powerful tools for making it easier for ideas, information and opportunity to find you. Harnessing Social Gravity will transform your career, your business, and your life.